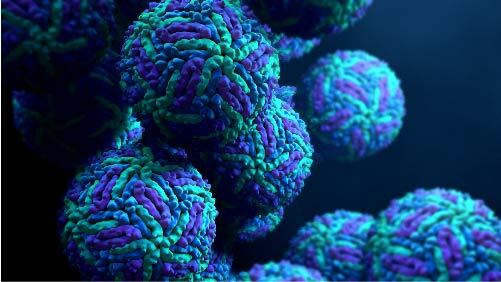 Cross-reactivity between the Zika and Dengue viruses in serological assays is one of the biggest challenges faced by the epidemiologists, academics and pharmaceutical companies trying to control the Zika epidemic, as it brings the quality and reliability of diagnostic data into question. So, why is cross-reactivity such a challenge and how can we overcome it? Zika Virus infection is often asymptomatic, but can cause symptoms ranging from mild fever to microcephaly in the foetuses of infected women. In 2016, Zika began to dominate discussion in public health when the WHO declared it a public health emergency of international concern. Unfortunately, the multi-organisational and international response has been hindered by the Zika virus’s cross-reactivity with Dengue—both viruses are so similar in their proteome composition and individual protein structures that current serological tests can’t reliably distinguish between them, introducing a need for new diagnostic approaches. Diagnostic ambiguity is a problem for all of those working on Zika. Academic research is grounded in accurate and reliable data. Indeterminate results are harder to publish, which can make it more challenging to acquire funding and ultimately delay the development of effective vaccines and therapeutics. At the same time, pharmaceutical companies need to be able to detect Zika with confidence to develop and deliver safe drugs—especially within the accelerated time frames expected in infectious disease R&D. Lastly, epidemiologists require reliable data if they are to properly understand patterns of disease transmission to develop appropriate public health initiatives. The gold standard for Zika diagnosis in the USA is to confirm infection by testing the same sample using multiple assays (and usually by testing at least two different samples per patient). Although labour intensive, this approach delivers some confidence in the validity of the result. One drawback to this method is the finite size of each sample, meaning multiple rounds of testing can deplete samples, sometimes before they can be used for their intended purpose (such as drug screens or research experiments). Furthermore, testing samples repeatedly is time-consuming and more resource-intensive than singular testing. This is particularly relevant for pharmaceutical companies and epidemiologists who require thousands of samples for drug testing, or to identify wide-scale, global infection patterns. The cumulative delay and cost of accurately diagnosing all samples can severely slow progress. Viral RNA is the first detectable analyte following Zika virus infection, making it a viable candidate for viral detection. Fortunately, the similarities between the Zika and Dengue virus envelope proteins aren’t mirrored in their RNA genomes. This means that RT-PCR kits targeted to unique areas of the Zika genome can side-step issues of Zika-Dengue cross-reactivity and accurately detect only Zika virus. However, there are several major drawbacks to this approach. Firstly, you can only test viral RNA in the first weeks following infection. Once a patient’s immune system is sufficiently activated, the viral RNA levels decline. Furthermore, the timescale of viral RNA depletion is highly variable between patients and since symptoms (if present) are mild, the day of onset may not be discernible. This means that a negative result may not reflect the absence of infection. As current serological tests cannot confirm exactly which virus is present (only that it could be Zika or Dengue), additional tests must be performed once an infection is detected. For this reason, PRNT titres against Zika and Dengue (and any other flavivirus to which a patient may have been exposed) are commonly used for the final diagnosis. 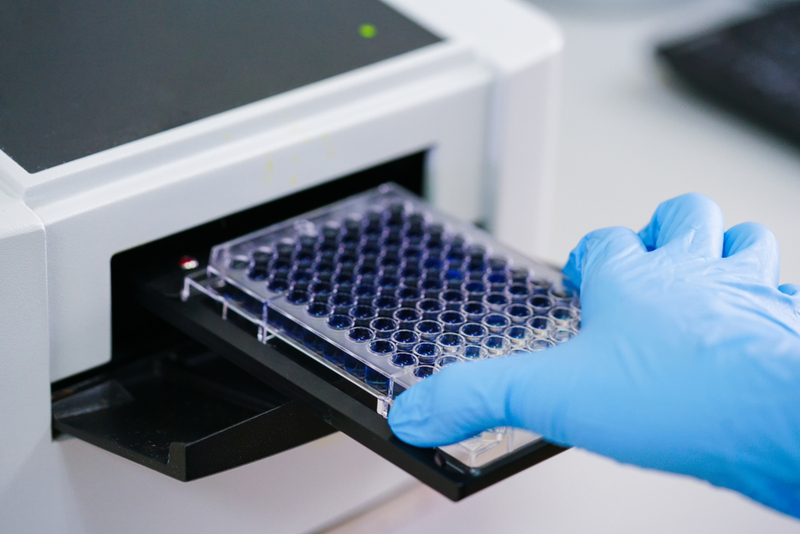 Although PRNT assays are extremely reliable, they’re resource- and labour-intensive, which is why researchers only perform routine assays on pre-screened samples. The entire process can take up to four weeks, and the aggregated delays can significantly impact research progress. Several ‘second-generation’ assays have been developed with the aim of reducing the high levels of cross-reactivity seen in traditional serological assays. Some optimised ELISAs try to overcome Zika-Dengue cross-reactivity by including a ‘blocking’ Dengue antigen to ‘absorb out’ cross-reactivity, and others use an alternative ‘blockade of binding’ approach with specific antibodies. These complicated approaches can incorporate many additional steps before antigen-antibody binding and therefore introduce more room for error and increase assay time. A further novel assay format has recently been launched which overcomes the issues with complexity and assay time. Developed using mammalian expressed recombinant antigens, this assay demonstrates excellent specificity and sensitivity, and an assay time of less than two hours. The assay is also suitable for measuring Zika responses in any species, making it an ideal choice for animal model studies. In most flavivirus infections, the viral NS1 protein is secreted into the bloodstream of the patient in the early stages of infection. Detection of this protein can therefore provide an alternative way of identifying infection using immunoassays. In Zika, the utility of NS1 measurement has yet to be fully demonstrated, and it appears that Zika NS1 may be present at much lower levels than NS1 in Dengue or Yellow Fever infection. Zika NS1 specific antibodies that exhibit no cross-reactivity have been developed, utilising a comprehensive panel of mammalian expressed recombinant flavivirus NS1 proteins. These antibodies have now been used to develop the most sensitive immunoassay available for measurement of Zika NS1 protein, detecting levels as low as 5pg/ml. This new assay will therefore enable studies to be undertaken that truly determine if Zika NS1 could be used as a marker of Zika infection. Researchers, public health officials, and pharmaceutical companies are aware of the urgent need to make progress into controlling the Zika virus, which makes the Zika-Dengue cross-reactivity challenge so frustrating. Measures such as PRNT titres have been effectively deployed to work around the issue but they cannot be widely used due to their complexity. Currently for research use only, new Zika assays provide tools for epidemiologists, academic researchers and pharmaceutical companies that allow them to overcome cross-reactivity. Interested in learning more about how these novel, highly specific assays can help your research? Then, download our new eBook!